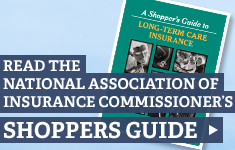 The Long Term Care Insurance Partnership Program was developed in the 1990's to help encourage people to purchase LTC Insurance instead of turning to Medicaid. People who purchase Partnership policies deplete their insurance benefits they can then retain a certain amount of assets and still qualify for Medicaid. 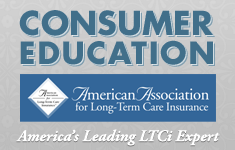 Until recently there were only 4 states that participated in the LTC Insurance Partnership Programs these states are: California, Connecticut, Indiana, and Connecticut. The Deficit Reduction Act of 2005 (DRA 2005) now allows all states to participate in the Partnership Program. Partnership policies in these new Partnership states much meet certain criteria's such as federal tax-qualifications, identified consumer protections, and inflation protection. Compound Inflation protection will be required for the people under the age of 61 and some level of inflation protection will be required for people between 61 and 75. Currently there are over 30 states that authorizing legislation.